IN-FORM pacer Blinding Light is expected to maintain his perfect Globe Derby record tomorrow night. 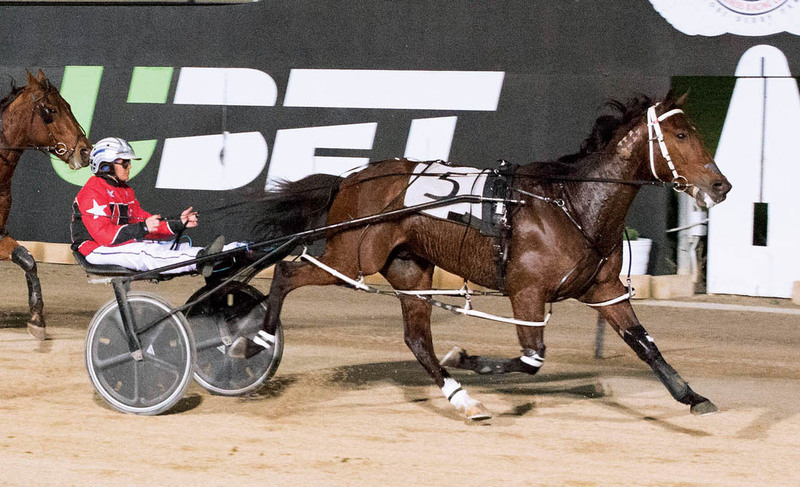 Joining David Harding’s stable last May, Blinding Light has made five appearances at the home of South Australian harness racing. Overall the son of Charles Bronson has had eight starts for Harding, with his tally including a win at Port Pirie and a close second in the Strathalbyn Cup. As for his pending engagement, Blinding Light has drawn barrier six, with Dani Hill to take the reins. Harding also has Crusader Banner in the field, with the son of Christian Cullen to begin from seven. Crusader Banner has had three starts for Harding for a win and a minor placing. Citing Clarenden Hustler as the main danger, Harding expects Lost In Bangkok to make his presence felt. Runner-up at his past three outings, Clarenden Hustler as get his chance to burst back into the winners’ circle from the pole. “Clarenden Hustler is the one to beat from the pole,” Harding said. “Dad’s (Les – Lost In Bangkok) has been working really well and will let them know he is there.